Roto-Max was designed from the ground up with the operator in mind. 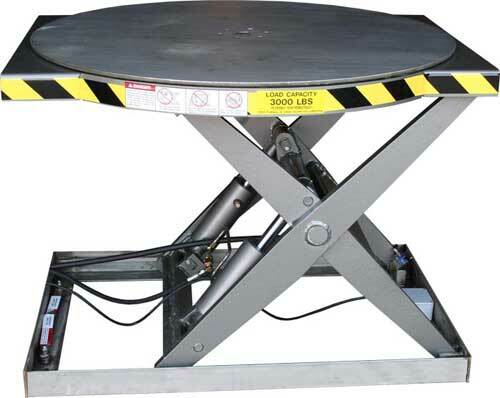 The Roto-Max electric hydraulic work positioner places the load at the operator to determine where he or she would like the work load positioned. Remote 1.5 HP motor. 115 V Single phase (20 amp circuit required). Motor on model RTMX-35-SS is 2HP with 230/460 3 phase standard. Lowered Height of only 6.5" including rotating top. 360 Degree rotating top with heavy duty cam rollers and exclusive Roto-Bearings.